The Confederate Monument in Garfield Park today. In May, 1919 Indianapolis, Indiana’s “Southern Society”—a group of Indianapolis residents composed primarily of former Southerners—proposed to the Indianapolis Parks Superintendent that a Confederate memorial be moved to one of the city’s parks. 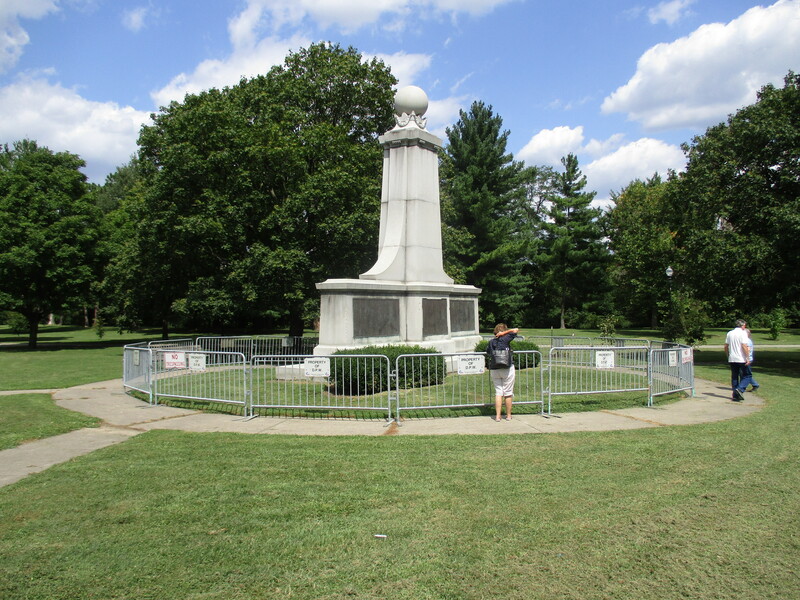 The memorial had been erected at Greenlawn Cemetery in 1909 to commemorate Confederate prisoners of war who died in Indianapolis’ Camp Morton. Just over 1600 prisoners had been buried in Greenlawn, but by 1919 the former cemetery had become a modest, poorly maintained city park crowded by factories and railroad lines.